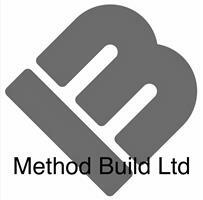 Method Build Ltd - Builder based in Byfleet, Surrey. At Method Build we take the stress out of home renovations. With transparent pricing, a systematic approach and regular progress updates, we ensure that all our building projects, large or small, are delivered seamlessly and to schedule. From planning through to completion, we pride ourselves on delivering quality within the agreed price and timeframe. Made up of a team of professional and highly experienced tradespeople, we have extensive knowledge of all the latest and more traditional building techniques. With over 30 years of industry experience, we can genuinely say we enjoy what we do. Working with a network of trusted suppliers, architects, designers and local authorities, we are always looking for ways to innovate and add value to each and every project, from loft conversions, extensions to full refurbishments and builds. With Method Build it's always a great start ... and a quality finish. Esher, Weybridge, Claygate, Thames Ditton, Cobham, Walton on Thames, West Byfleet, Chobham, Surrey & South London.